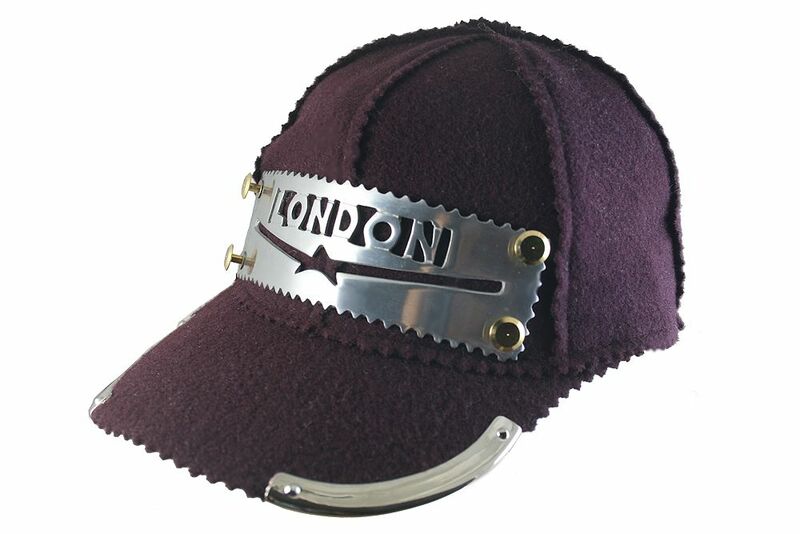 Unisex maroon wool baseball cap with metal components.Suitable for catwalk,styling, DJ, video and performing. Cotton base, covered with red wool felt with ragged edges. Solid cast aluminium LONDON plate. Metal bumpers, decorative metal rivets. Stainless steel Hi Tek logo on leather gasket. One size. Adjustable strap at the back.